Chris is a very experienced International Course Director and teaching IDC’s by 5* IDC Centers, in Netherland – Zuid Holland – in Cyprus and in Egypt – Sharm el Sheikh and Hurghada, IDC’s in Dutch, English, German and Arabic. 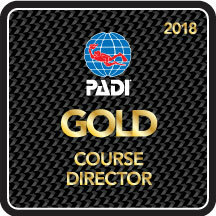 She follows the PADI Programs (Professional Association of Diving Instructors) and learn you how to become a PADI Dive Instructor. She is teaching more than five IDC’s per year. Become Die Instructor with her. Chris is diving a long time and have done more than 11.500 dives and she was more then 9000 hours underwater (More than one year). She loves to share her experience with you. Diving is still a serious sport, take care of yourself and the untherwater life and than you also have fun. You also can do TEC and Sidemount Diving with Chris. Diving and teaching, it’s her passion. Bubbels, no troubles! Diving is FUN! You can work everywhere in the World. Change your life today! 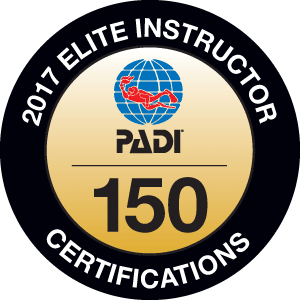 To reach this, just follow the PADI-IDC, Instructor Development Course, by Course Director Chris. Teaching is very nice and safe diving is important. These parts get a lot of attention in the IDC’s in Netherland and Egypt during workshops and water sessions. Let your workplace be underwater. Read also her interview by PADI My PADI Interview to get an impression.